Earlier this month, Mitte’s headquarters for independent music, Schokoladen, turned 23. 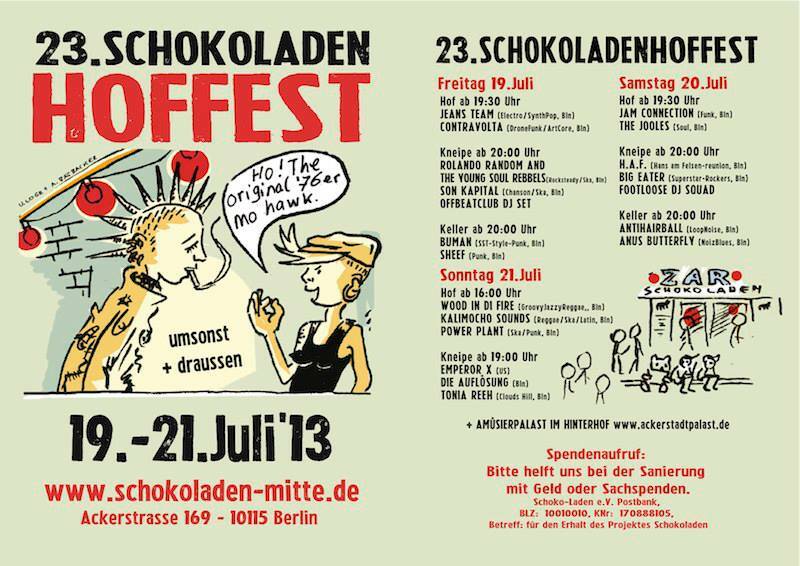 And as is the annual tradition, Schokoladen will have a no-holds barred birthday celebration running three days featuring close to 20 musical acts located in Berlin. Extending beyond the bar itself, the celebrations will also take place in the courtyard and the cellar. Keeping within the confines of its strict, 10 p.m. noise curfew, the venue will also end all live music at the proper time but keep the party going until the early hours of the morning with DJ sets from Offbeatclub and Footloose DJ Squad.